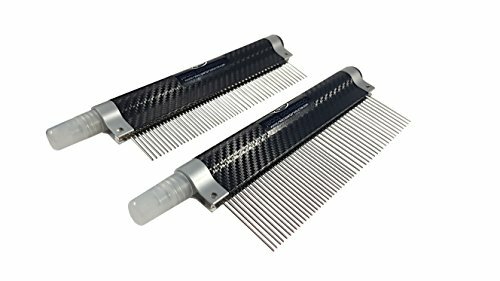 The American-made, Resco Spritzer Comb is the most versatile comb on the market. 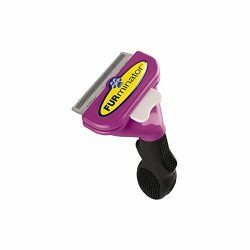 Our handle design has been a staple for professional groomers since their inception in 1953. The 7-inch handle is made of American anodized aluminum and contoured to perfectly fit the hand, reducing wrist strain and fatigue. 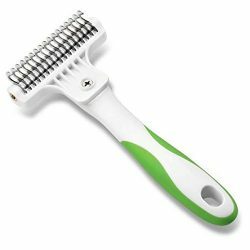 Due to its strong yet lightweight design, this comb is a powerful tool for any Groomer or pet owner. 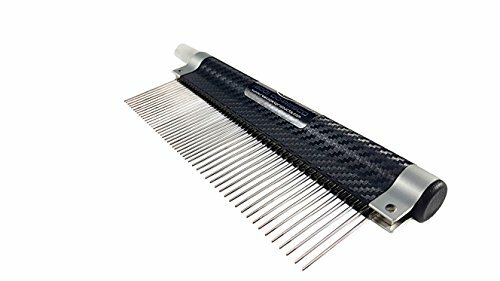 The comb features 1.5” precision nickel-plated hardened-steel pins pressed into a solid brass shank, making broken and bent pins a thing of the past. 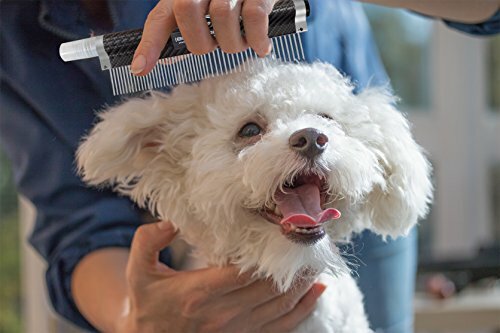 The comb teeth are tapered to get into your pet’s coat easier and their rounded tips protect your pet’s skin, making grooming an enjoyable bonding time instead of a chore. 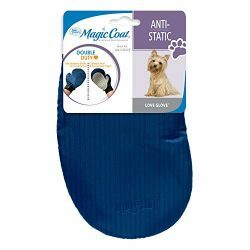 Instructions: De-Tangling – Spray the de-tangling spray into the pet’s dry coat and gently comb through to rid your pet of tangles. 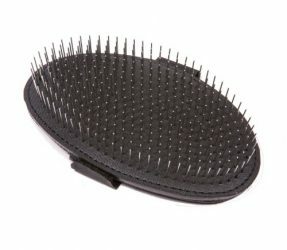 For larger tangles or mats, work the comb through with an upward motion to break through. For advanced mats or tangles, please consult a professional groomer. 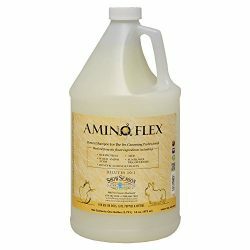 Finishing – Spray the Finishing Spray into the pet’s dry coat and gently comb through to add finishing touches before a dog show or just for a beautiful, healthy looking coat for a night on the town! 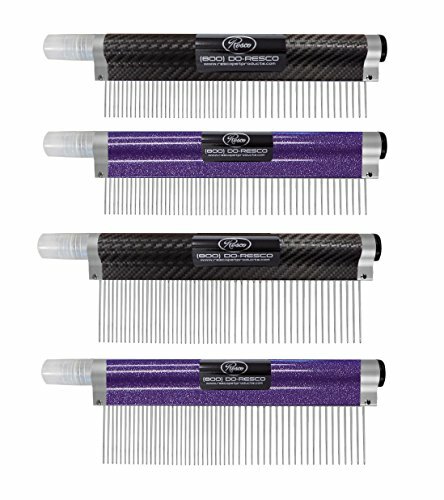 Includes: 1 Resco Spritzer Comb 1 De-tangling Spray (10ml) 1 Finishing Spray (10ml)Proudly made in America by Resco – Providing innovative grooming solutions since 1937! Resco’s round-tipped pins are tapered and pressed into a brass shank for the most durable comb on the market.